I guess you’ve figured out that I haven’t been doing much fishing, what with the lack of reports and all. I expect to be on the Pocomoke and Nanticoke rivers starting the first week of February casting for yellow perch, crappie and hopefully some hard-fighting pickerel. Contact me for some mid-winter fun casting for perch and pickerel on these beautiful eastern shore rivers. I am offering a six hour trip for the ridiculously low price of $250. I’ll even supply the coffee and donuts! 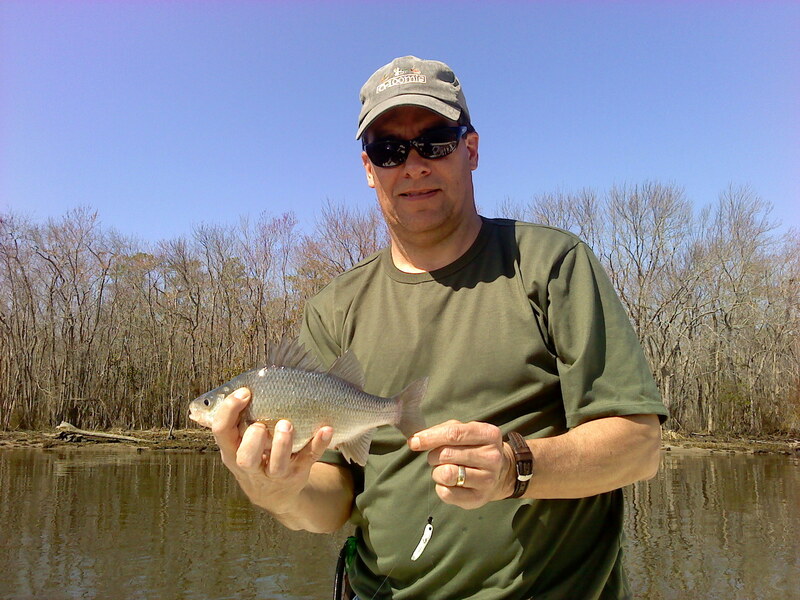 Don’t forget the March white perch run on the Nanticoke river out of Sharptown. I’ve had a lot of interest in these trips since I started them last season so space is limited. Contact me soon to secure your trip. I’ll post a report on my blog the evening of my first trip on the Pocomoke. In my last newsletter, I mentioned a new “cost sharing” plan that I will be offering this season. If anyone would like to share the cost of a trip with one or two other fishermen, please let me know and I will place you on a “call list,” so that should the occasion arise, I will put you in touch with each other so you can work-out the details. If you send me an email, write down the time of year, and specific area that you would like to fish. I think this will work out well for all involved. Don’t forget about TieFest, the CCA Kent Narrows Chapter Fly Show to be held at the Kent Island Yacht Club on Saturday, February 12th. I’ll be there, as will Lefty Kreh, Bob Clouser, Bob Popovics and other big names in the world of fly fishing. Hope to see you there! Either address will get you to the site. Thanks, and hope to have some cold weather reports soon! I am in the process of updating my blog with newsletter archives from 2010. If you have already subscribed to the blog, you are probably getting bombarded with updates through your email account. I apologize for this. Please bear with me while I attempt to work out some of the kinks of learning this new program. I think once I become familiar with the programming, you will enjoy the up-to-date fishing reports and newsletters. Incidently, for now at least I am going to keep the fishing reports and newsletters separate. The newsletter is currently a weekly to bi-monthly publication that I also send out via email. I will try to update the fishing reports as the trips occur. This will give blog readers more current fishing info. I may be changing the newsletter to a monthly publication if I can get the daily reports into enough readers hands. Thanks for your patience and please feel free to send comments on the site.